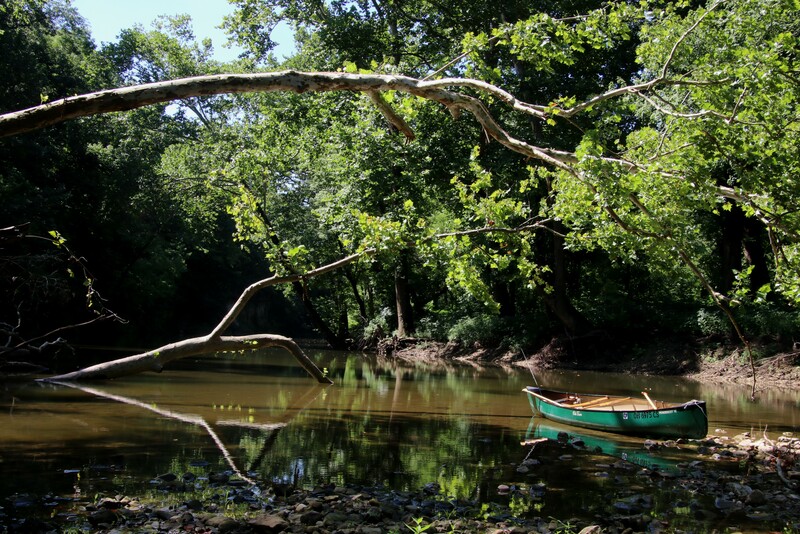 After a trip up Paint Creek from Paint Creek Reservoir in south central Ohio just a few days ago I couldn’t help but reflect on the magic of paddling a canoe. In recent years I’ve found myself drawn to the intimacy of a hike or paddle and being part of one’s surroundings at a slower pace. Unlike the mentality of motion that usually grips us, slowing down or stopping for a better look requires hardly more than a thought. It turns out that the act of stopping, looking, and listening is where the magic is, allowing one to become increasingly aware of the complexity and beauty of the place and in the process becoming more outer directed rather than inner absorbed. A canoe enhances that experience as one can’t avoid the heightened sense of wind, waves, and current as muscles burn working toward a distant shore or at the other extreme, suspended over brightly colored pebbles quietly moving with the clear flow of a wooded stream while not far off a Wood Thrush calls. Through it all there is a feeling of being part of something much bigger and a resultant inner peace. In my life’s fleeting moment I am blessed to be awake and to be part of it all. Truer words were never spoken, or typed I suppose I should say! That’s what I like about kayaking as well. You are speaking my language. I feel it is part of my spiritual practice to walk, but then stop, observe, listen and look, for birds especially, but also the many wonders of nature. Many people walk or jog past me on the bike path, and exercise is good! but I cannot keep up a brisk pace in that environment by the river and the woods. I can no longer hear a bird song without stopping and looking for the culprit, which I don’t always find but enjoy none the less. Allowing yourself to “be” among the trees or along a river or lake rather than racing through it is what brings me peace and a feeling of being truly alive in the moment. Such a way to be Bob. A reflection to ponder… I need to enjoy our canoe and slow down much more than I take time to do. Thanks for sharing your thoughts and sights and reminding me of what is truly most important in life – the wonders of life and the natural world that surrounds us.